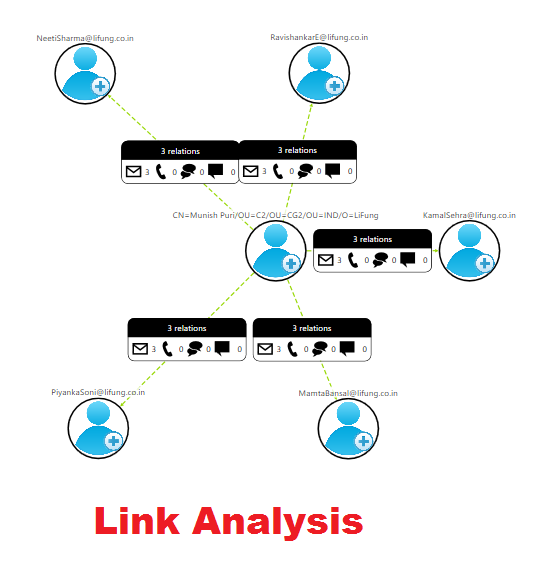 According to the definition, Link analysis is simply a data analysis method in the network theory to examine the connections or relationships between the network nodes. This connection or relationships can be between any type of nodes or objects like People, Organization, and transactions. Similar to the visual tool, this Link Analysis provides a powerful method that let users in understanding what is exactly happening very quickly. Therefore, it is mostly used by many financial institutions like Banks and Insurance, Cyber Security agencies, to uncover the criminal networks. It also improves the fraud investigations, and find insiders frauds easily. In the same way, the government agencies perform link analysis to investigate frauds, improve the screening processes, investigate criminal activities, and to expose the terrorist network. Link analysis is specially used to discover valuable knowledge, which used to visualize data in order to perform better analysis, mainly in the context of links i.e. Web links or relationship links between people or different entities. In addition, the relationship between the different identities will determine how these entities are associated with each other. Apart from all this, Link analysis is frequently used in search engine optimization, in intelligence, in market and medical research, and in security analysis. Identify matches for known the patterns of interests between the linked objects. Look for an abnormal condition by detecting profaned known patterns. Look for new patterns of interest. How Can Link Analysis Be Performed? There are many problems faced by the law enforcement agencies and intelligence analysts in identifying the relationships between the specific group of entities in the criminal network. In addition, this task can be really time-consuming and requires lots of efforts if done without any Link Analysis Software. Thus, to this in an effective manner, analysts can use any of the link analysis tool available in the market. 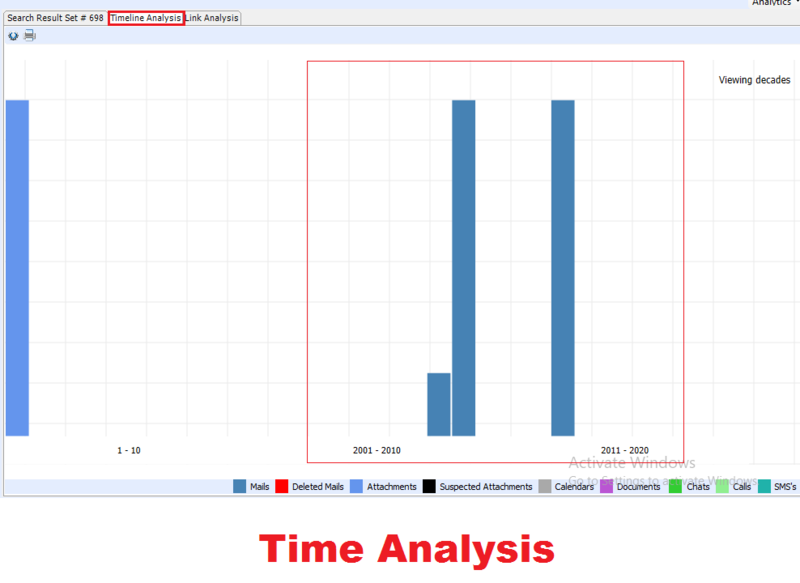 The timeline analysis is useful for performing a different type of investigations. It is mainly used to answer the questions related to when a system is used or what event occurs before or after a particular event. This is represented in Graphical form, which shows the number of event Moreover, it is very useful in digital forensics also to determine when a particular activity has occurred on a system. It identifies the data reduction and a particular state change on the system. In short, one can easily determine which event occurs at what and all other details related to that event. In order to do Link and Timeline task with minimum efforts and more accurately, the investigators or analysts are advised to use Email Investigation Tool. This utility is capable to provide a visual representation of a criminal network also. It is one of the popular names in the field of digital forensics. It keeps the track of all data transactions done through emails. One can easily use this tool to visualize, analyze, and investigate the wicked communication done between the suspects via Advance Link analysis algorithm with the software. It will easily detect the links between the suspects and also investigate the exchange of information and emails between them.Apart from all this, this Forensic Investigation tool also includes Timeline Analysis feature. This will let analysts determine when the particular event or data transaction has performed or occurred. In addition, this software also let users can email conversation between the users based on specific date, year, and decades.